Geneva, Switzerland. This office and retail complex exemplifies the international style of modernism with its glass curtain wall, spandrel panels (dark) between the windows separating the floors, and an overall boxy appearance without facade ornamentation. For more photos of modern architecture on Flickr, Click Here. Amsterdam, The Netherlands. 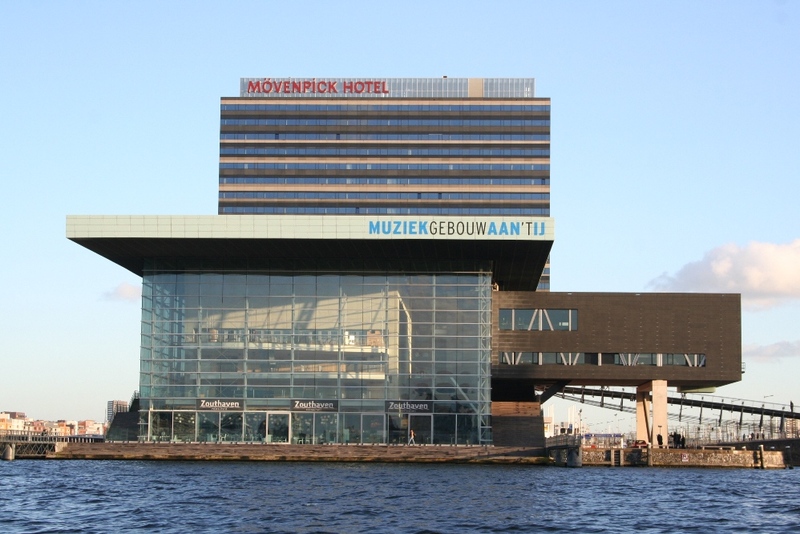 The Movenpick Hotel (background), designed by Dutch architects Claus & Kaan, invoking the minimalist international style. 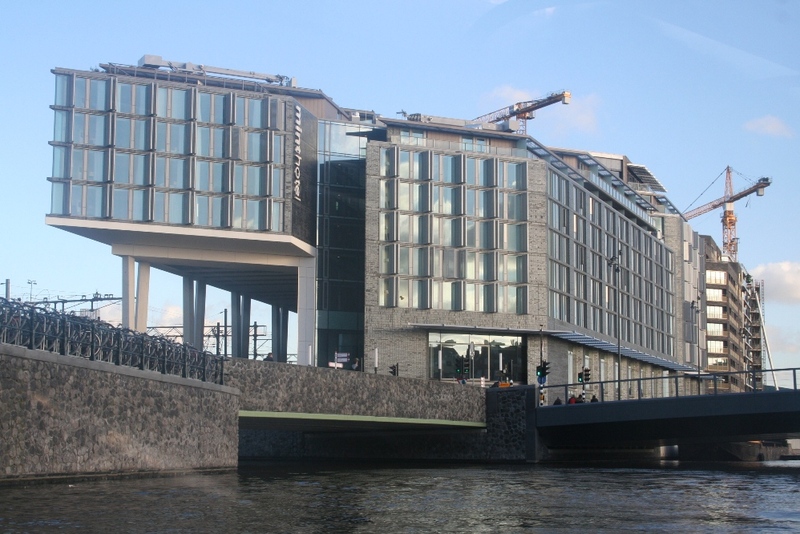 In front is the more recent Amsterdam Concert Hall, c.2005, demonstrating a more structural, expressionist approach. Amsterdam, The Netherlands. A variation of modern architecture known as expressionism, through which architects attempt to elicit emotional responses. Bruges, Belgium. Train station, c.1939. 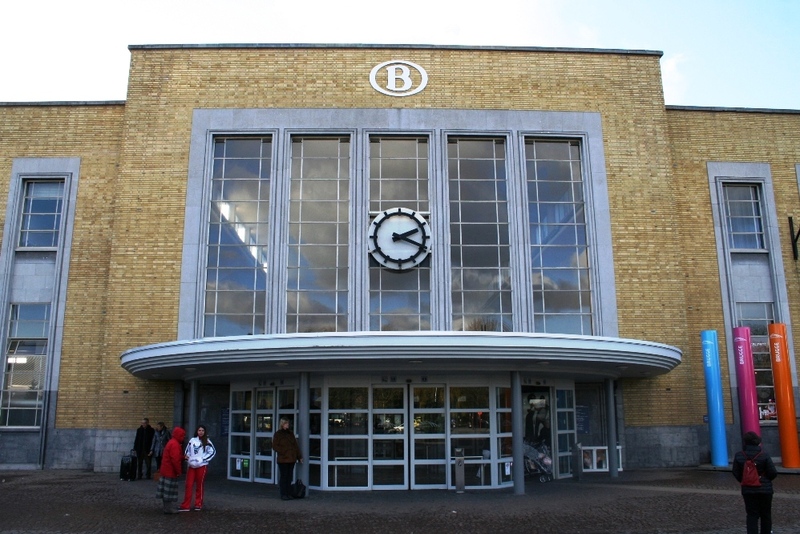 Displays a very functional, international-style facade emphasizing simple geometries and lack of historical or other ornamental elements. Amsterdam, The Netherlands. 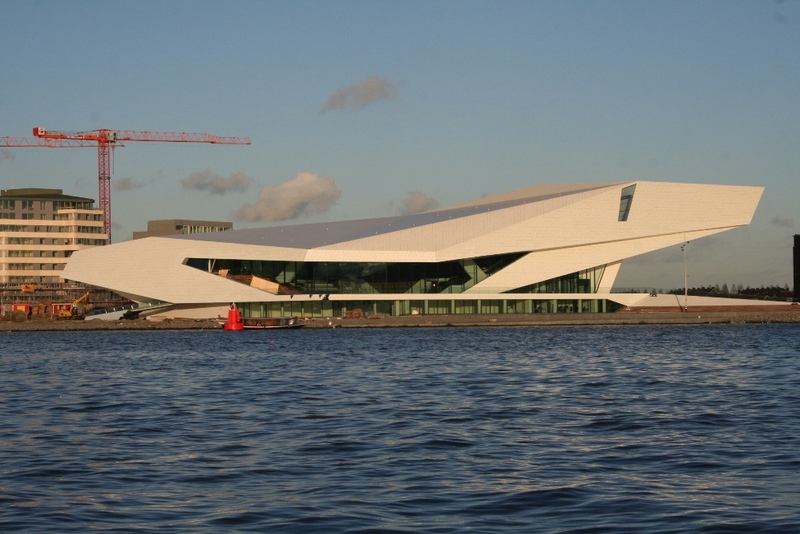 More recent modern architecture, known as contemporary modernism, has moved away from the 1960s international “glass box” with more creative shapes, facades, and display of structural elements. Prague, Czeck Republic. 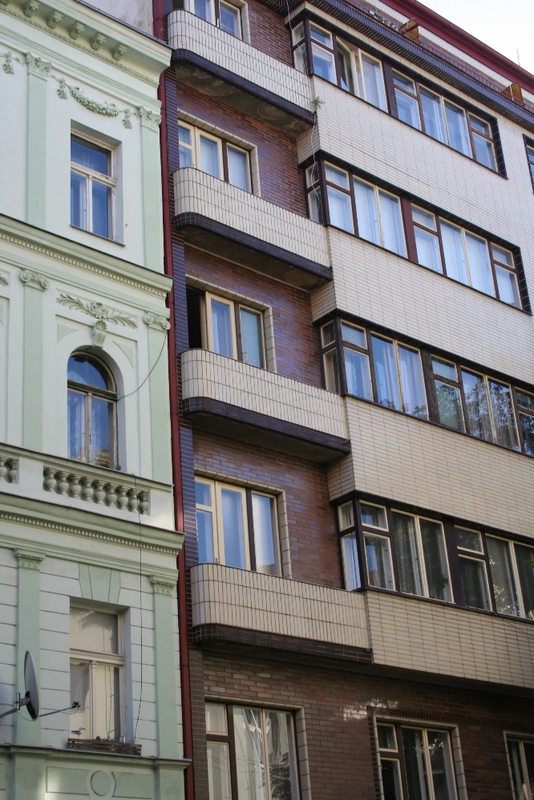 Probably 1940s or early 50s, a combination of international-style modernism and art moderne, adjacent to an earlier Renaissance Revival structure. The art moderne curved, glazed-brick balconies are integrated with the more angular corner windows and ribbon windows of the international style. Leuven, Belgium. 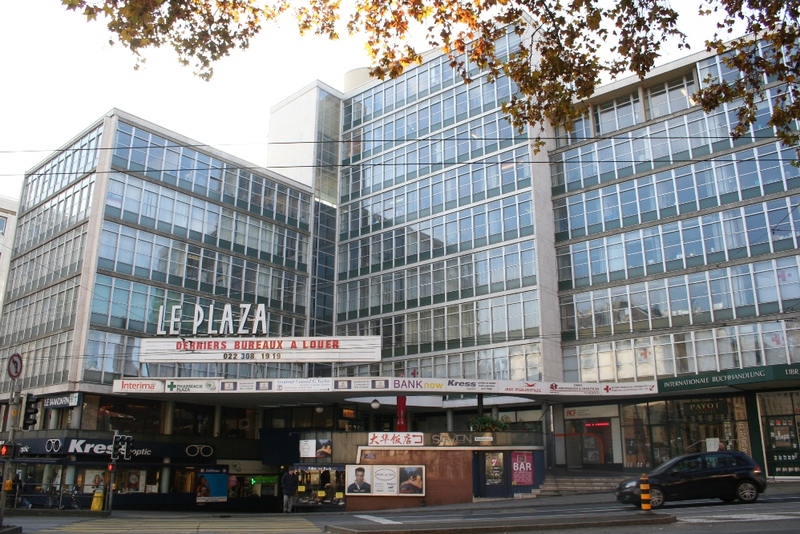 This modernist, mixed-use structure likely replaced a much older series of commercial buildings like the adjacent ones. 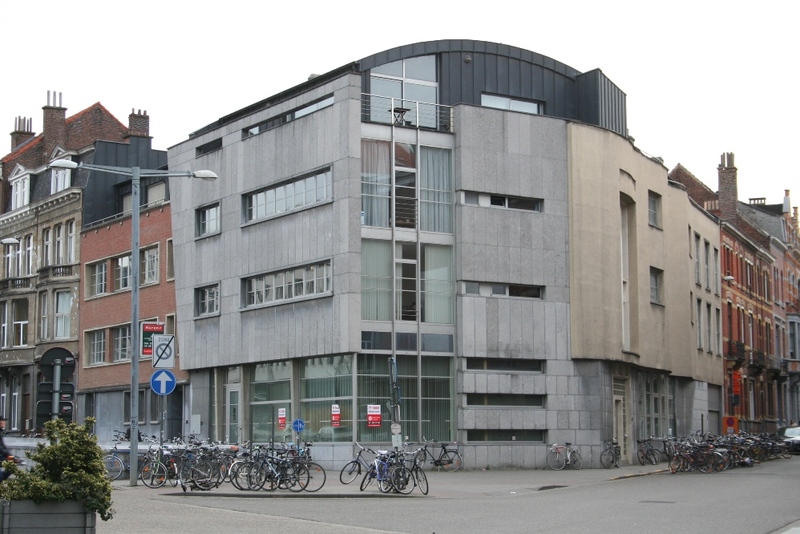 A mixture of concrete, steel, glass, and geometric shapes and unadorned facades makes this a creative version of post-war modernism. Nowa Huta, Krakow, Poland. A Soviet industrial city on the periphery of Krakow. 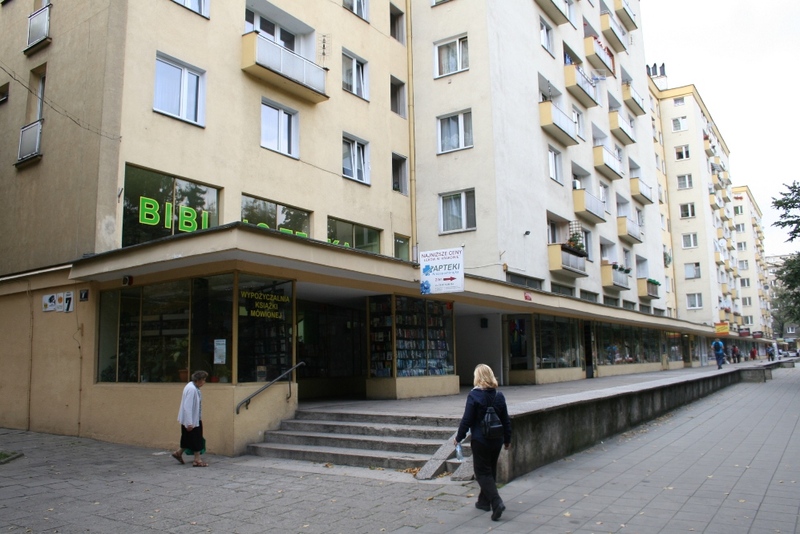 A typical 1970s-era modernist apartment block with retail space on the ground floor. 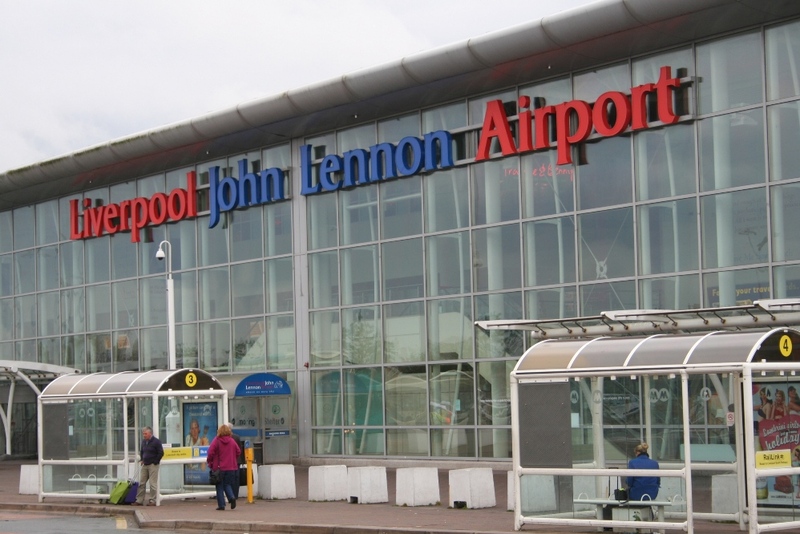 Liverpool Airport terminal, UK. A glass curtain wall overlays visual structural components, a modernist variation known as structural expressionism. Barcelona, Spain. 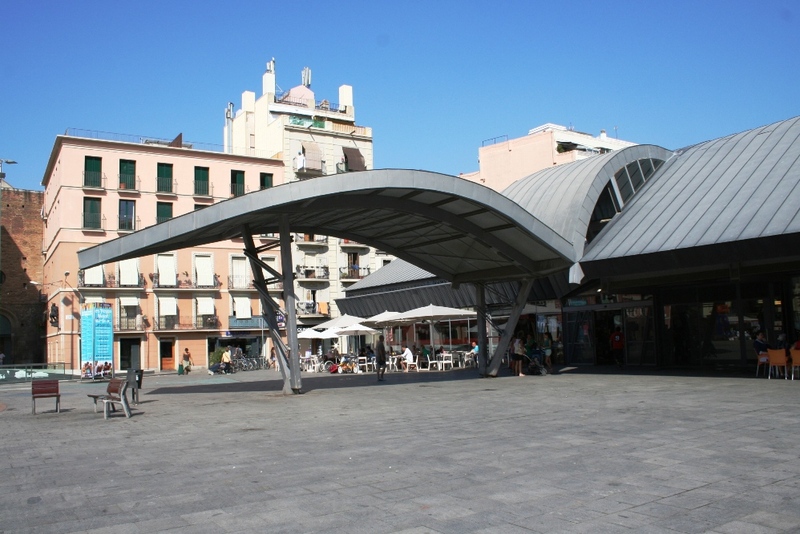 A post-war modern market building with canopy extending into the public plaza. Underground parking exists under the reconstructed plaza.